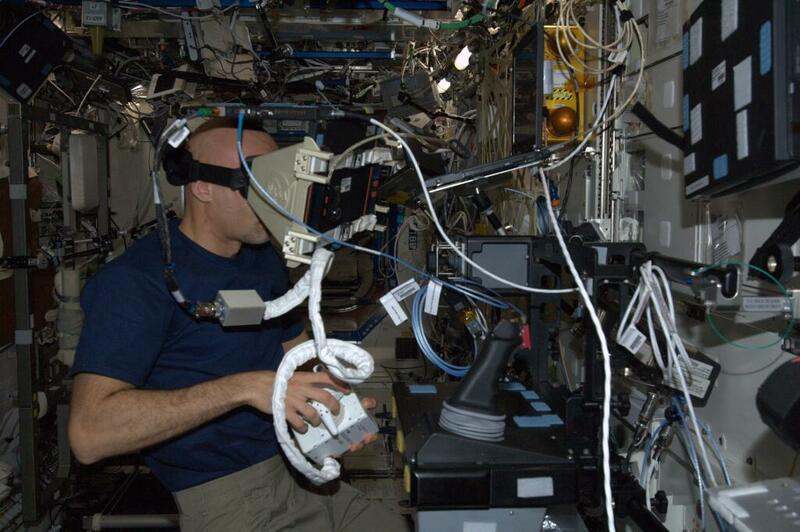 The day-to-day tasks aboard the International Space Station are planned right down to the smallest detail. So in theory, Luca knows exactly what he has to do at each moment of his working day. Here, he tells us what it’s like. It’s good to be busy. Up here in orbit, every single task is really interesting. Even jobs that would seem completely banal on Earth take on a special meaning in space, because the normal laws of physics don’t apply. Often things are either much easier or much more complicated. My days are really intense: I wake up at 06:00 and usually go to bed around 23:00. As you can imagine, each day is very busy and I try to make to most of every moment (except when I’m sleeping). It’s impossible to get bored. I deliberately didn’t bring anything with me that would distract me from my most important job: to do things here on the Station that I would never be able to do on Earth. I can read a book or watch a movie 5 months from now, when I return to Earth. It’s my duty to share this privilege with others and that’s why when I manage to find a little free time, I try to spend it taking photos and writing these words to capture this unique experience. This week, we’ve been focusing on preparing for our Extravehicular Activity or EVA, which is scheduled for next Tuesday. I will exit the Space Station together with my colleague, US astronaut Chris Cassidy. It takes many hours to prepare for spacewalks: we have to prepare the suits and tools, and carry out a series of rigorous checks. Another important task for this week will be the installation of the Columbus Water Pump Assembly. 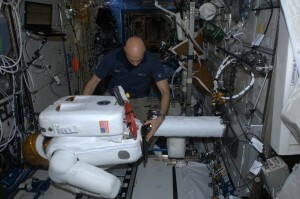 This is a vital piece of equipment for the continuation of work in the Columbus laboratory. It will be perhaps one of the biggest and certainly my most time-consuming task this week. The scientific work continues. The experiments are spread out over the expedition and right now, we have several that are about to finish and others about to begin. The experiments I’ve been working on since I arrived at the Station are Pro-K and Spinal Ultrasound (which I talked about in this blog last week). I’m convinced that the latter will produce great results because it is based on using a very simple and inexpensive machine to carry out types of diagnosis that are currently only possible using very expensive machines. Chris is taking care of experiments examining the flame resistance of certain materials, but I haven’t been involved in those experiments and they have finished now. BCAT is a Canadian experiment we’re working on, which entails taking time-lapse photos to record changes in a mix of liquids of differing viscosities. The experiment studies the long-term behaviour of colloids – microscopic particles suspended in a liquid in microgravity – when the effects of sedimentation and convection are removed. Another experiment I’ve been working on over the last few days is Robonaut: our robot astronaut and the seventh member of the crew. His successors may one day help humans to work in space more safely. I help Robonaut by setting up the experiments he has to run. It’s a true partnership! Aside from time spent on experiments, we’ll be busy this week with other important tasks such as maintenance and loading/unloading. So as you can see, time flies here and it’s impossible to get bored. Time does fly when busy and focused on activities! I am on vacation now (and time still flies), but when I am at work teaching cognitively impaired students on the autism spectrum, I am very busy with creating, planning, making materials, taking data, and establishing procedures and visual schedules to keep them engaged and learning all day. And time flies even faster at work! 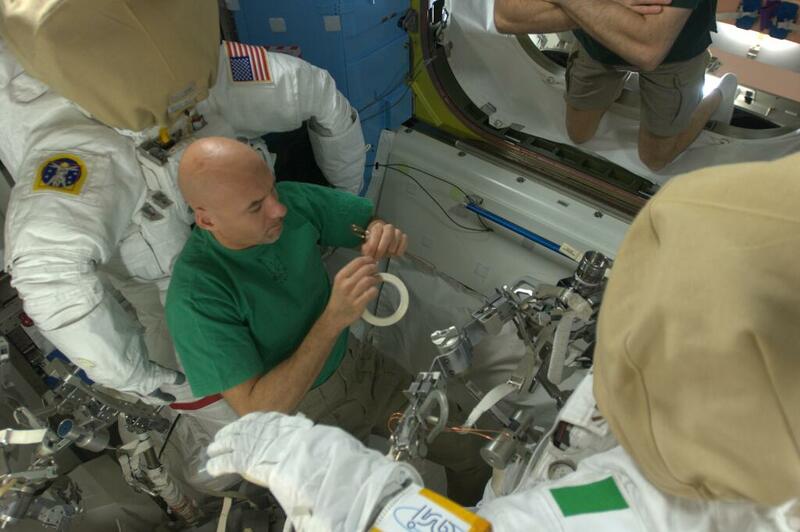 It is similar to how each minute of your day is all planned out with EVA prep work, cleaning and the experiments. The research you are involved in is very important and has real world applications. Recently I took my Dad to the eye doctor regarding cataracts. 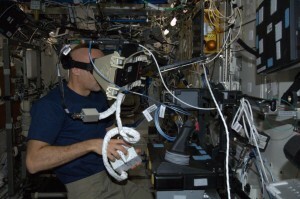 The technician indicated they were using eye measurement equipment developed and used at NASA. He told us that to reassure us about getting the lens replacement accurate. I hope the different countries share experimental results. It would benefit everyone. Your dedication and attention to detail is admirable and necessary! …se il tuo tempo diciamo “libero” lo passi facendo foto e raccontandoci le tue emozioni che vivi lassù… beh… per noi è tempo preziosissimo perché ci rendi partecipe e ci delizi con delle immagini suggestive e affascinanti… personalmente ritengo che “voi altri” lassù siate delle persone speciali… oltre alla parte scientifica e specifica della missione ci regalate momenti di gloria unici, orgoglio e speranza per un futuro migliore… grazie davvero molto per quello che fai… ti voglio proprio tanto bene! un abbraccio !!! Vorrei avere anche io del tempo libero da passare come fai te! Complimenti Luca, perché sei l’unica persona che in questo periodo ci rende orgogliosi di essere italiani! Continua così, tutta l’Italia fa il tifo per te! Bravo Luca, ti seguo con interesse. Ma cosa farai nella prima uscita Eva? ?